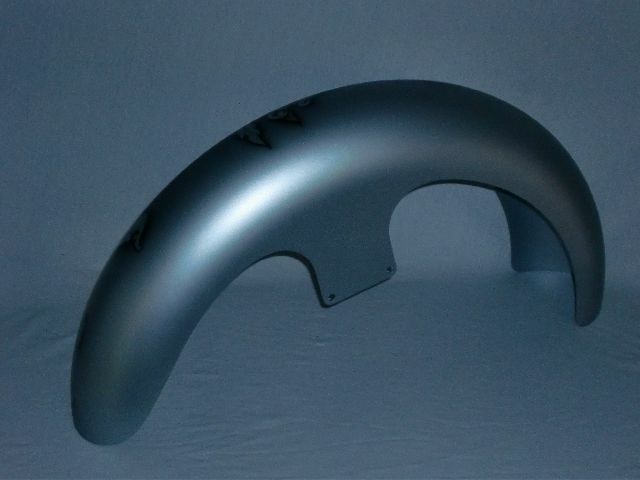 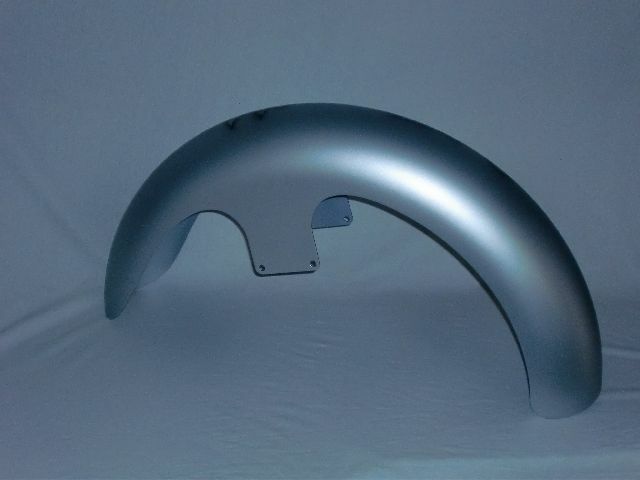 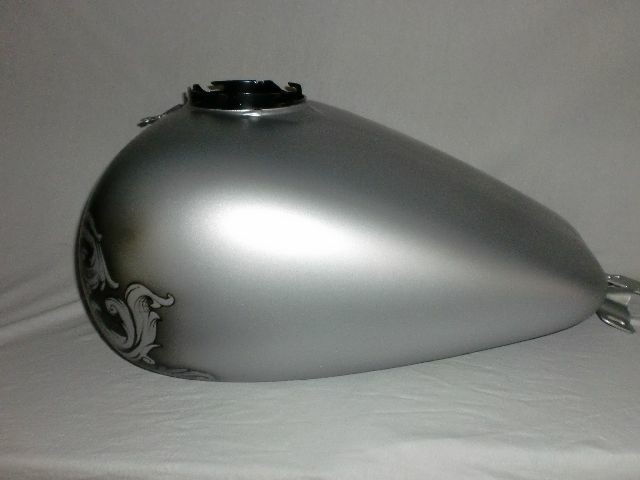 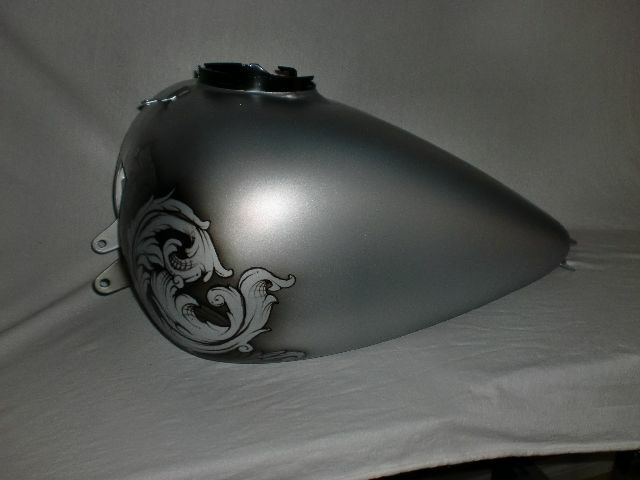 This silver based bike has a matte clear finish. 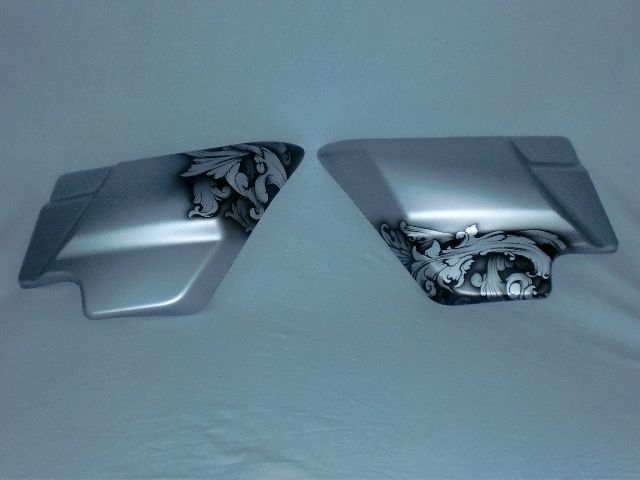 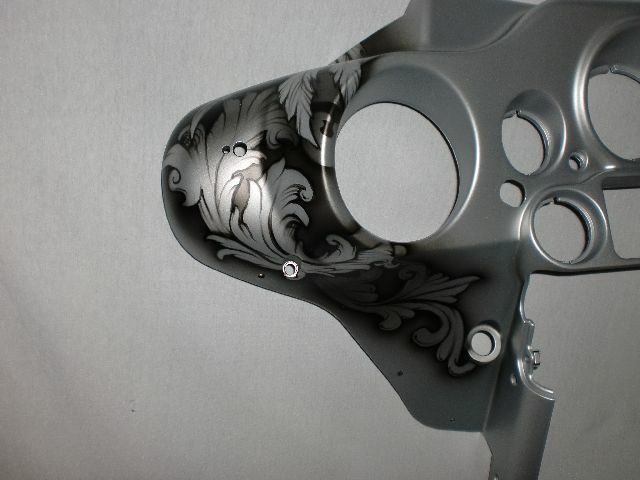 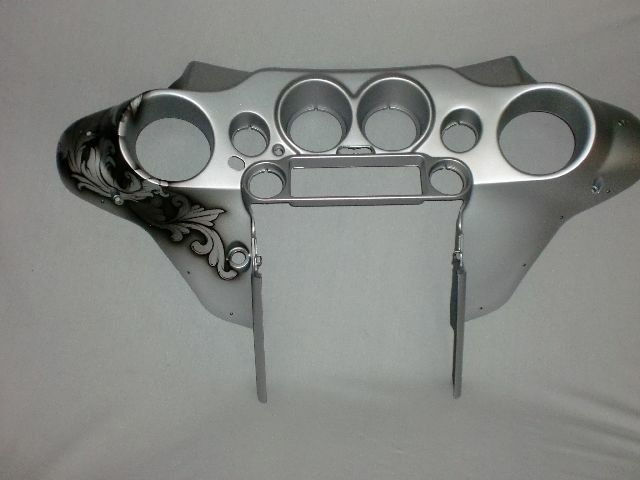 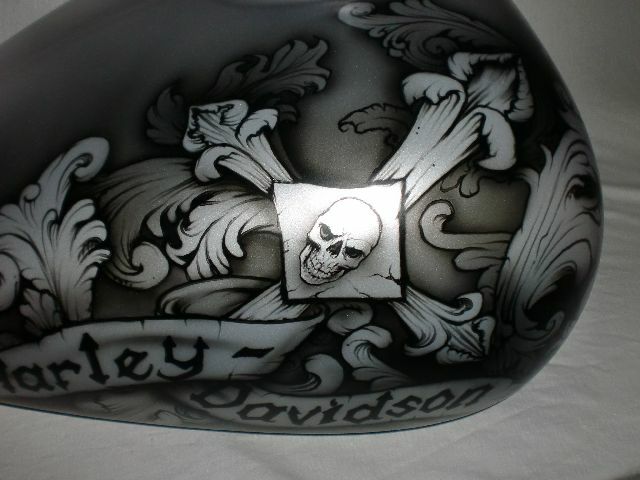 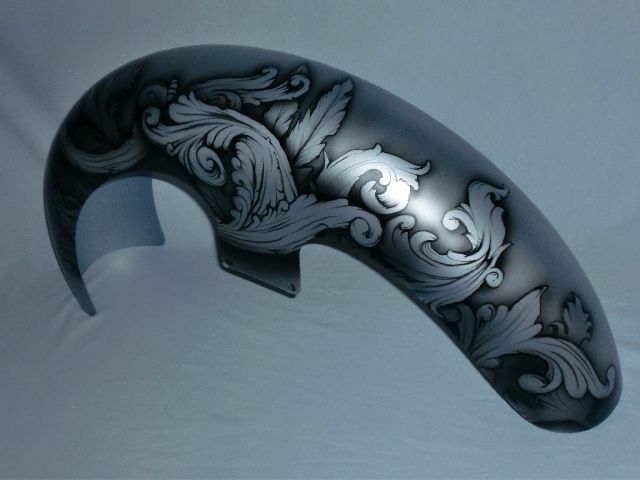 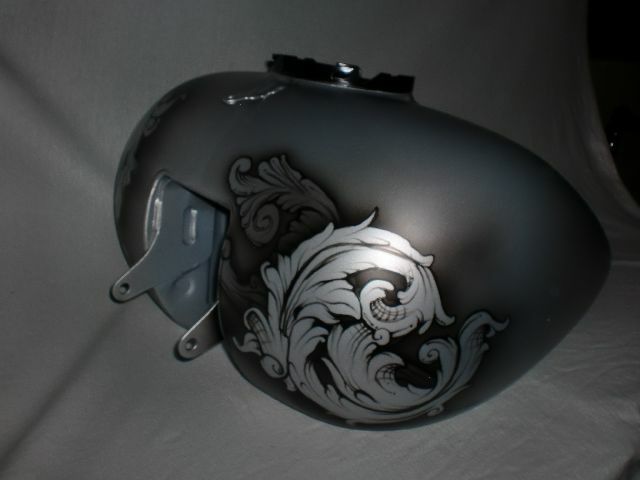 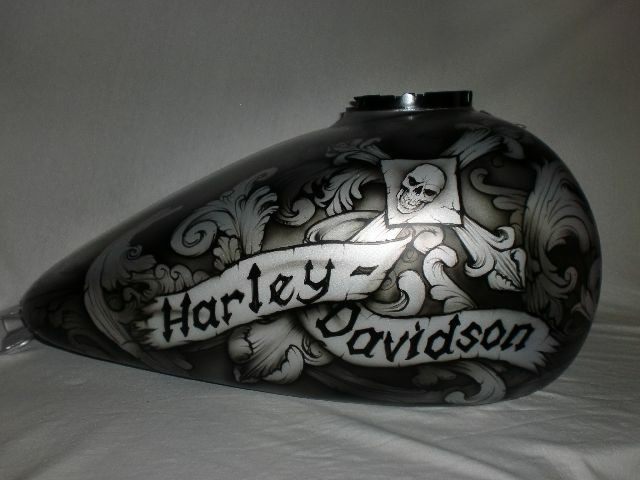 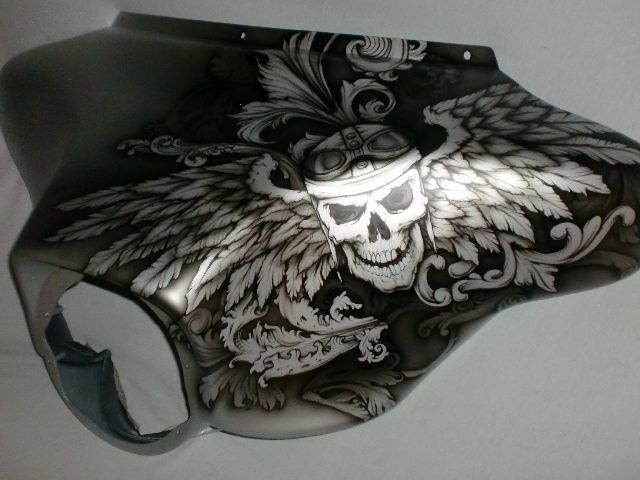 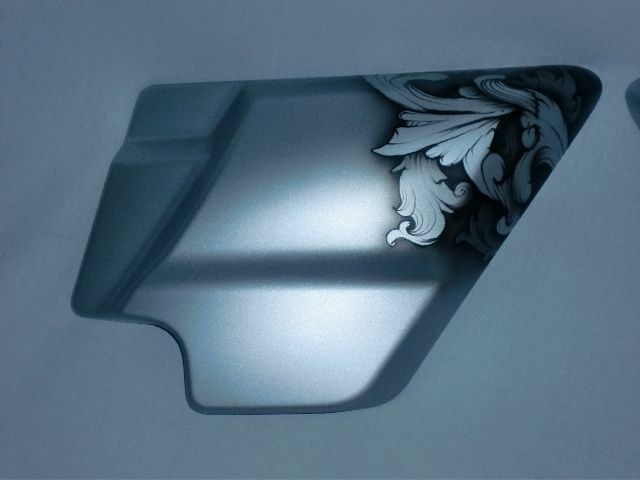 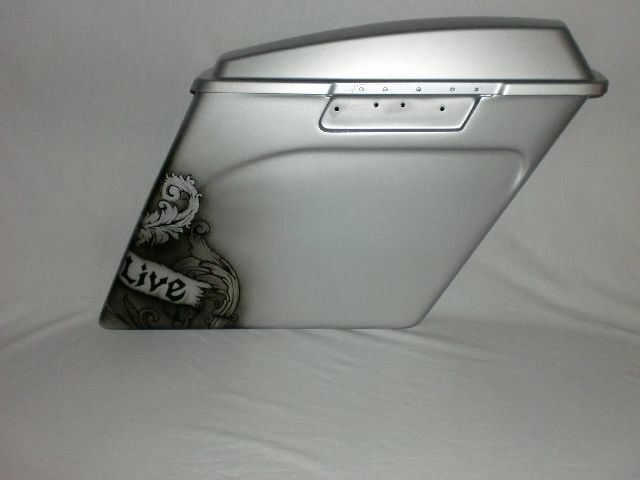 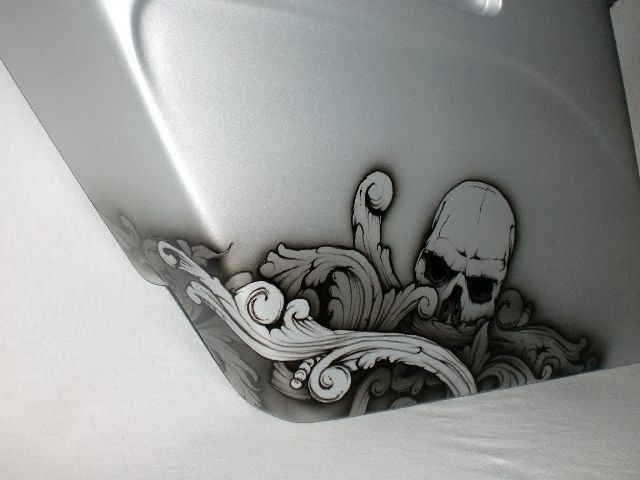 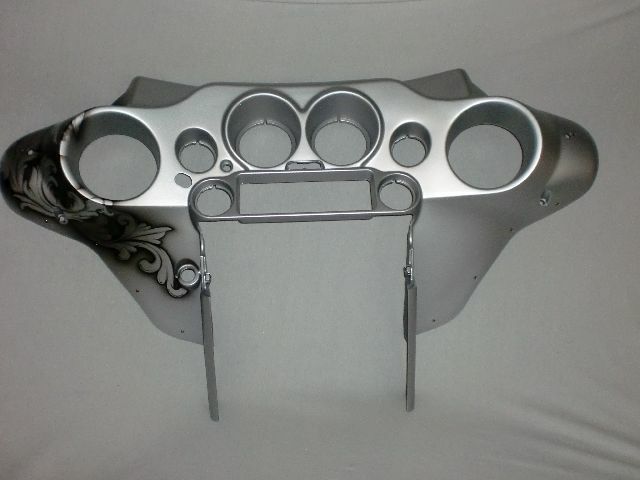 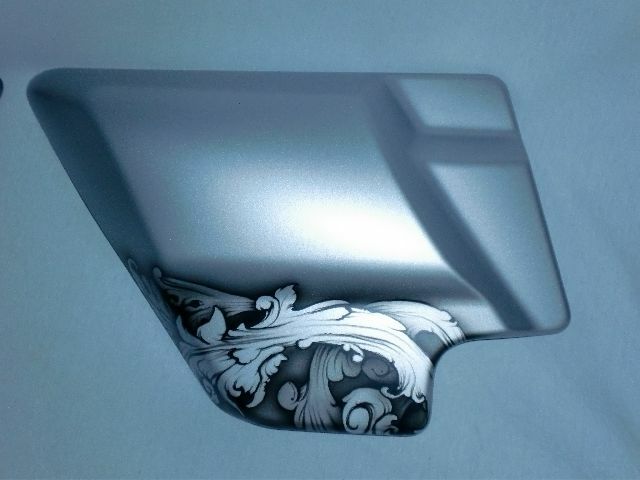 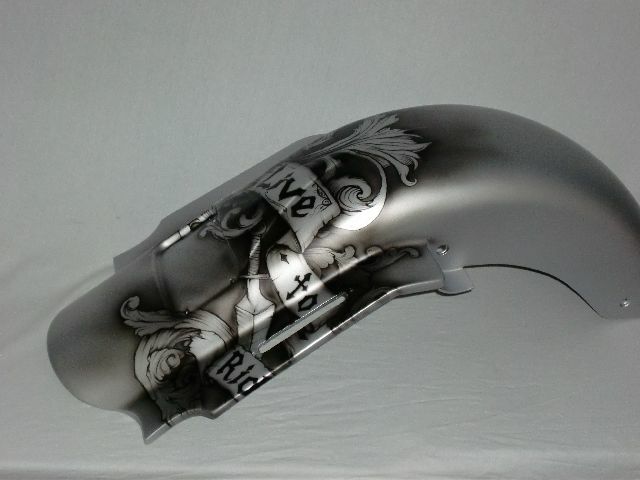 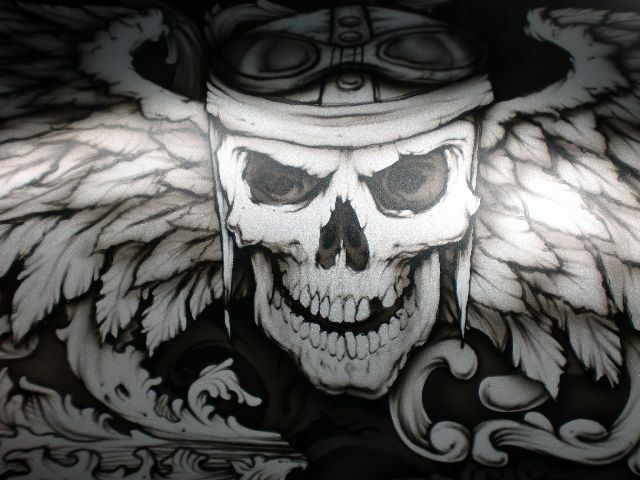 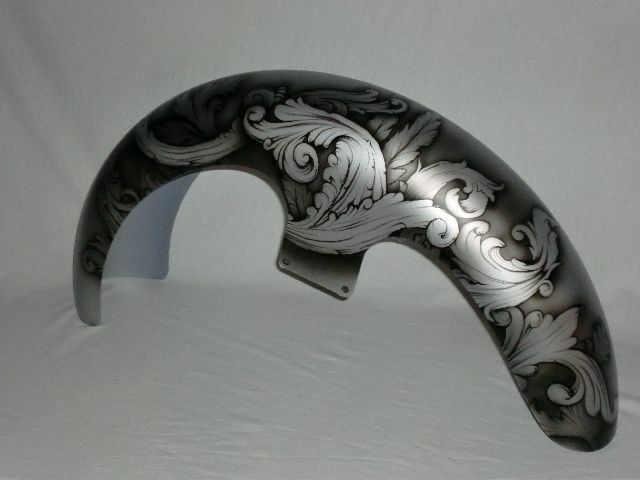 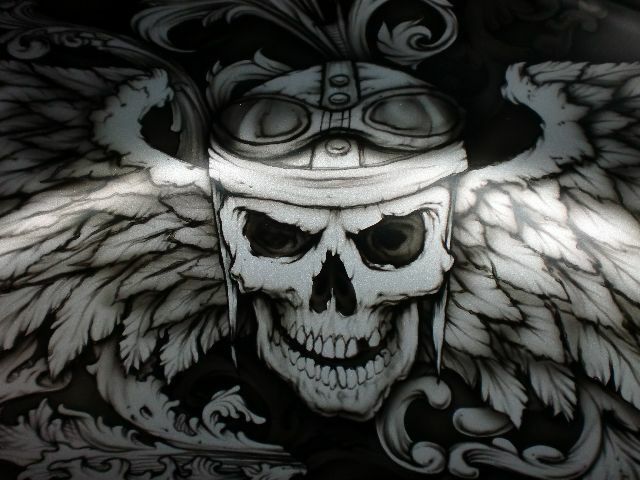 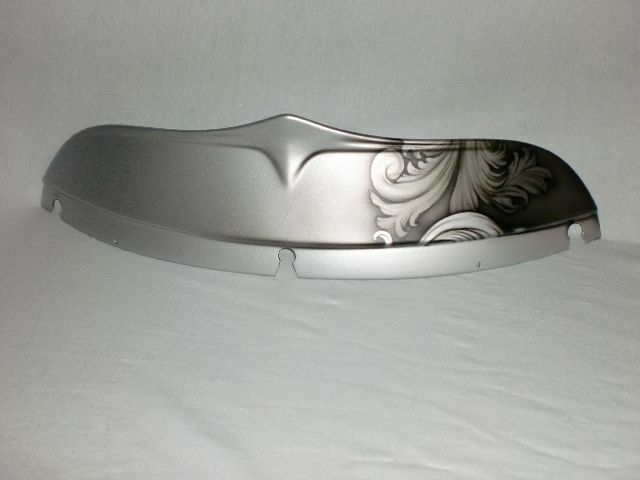 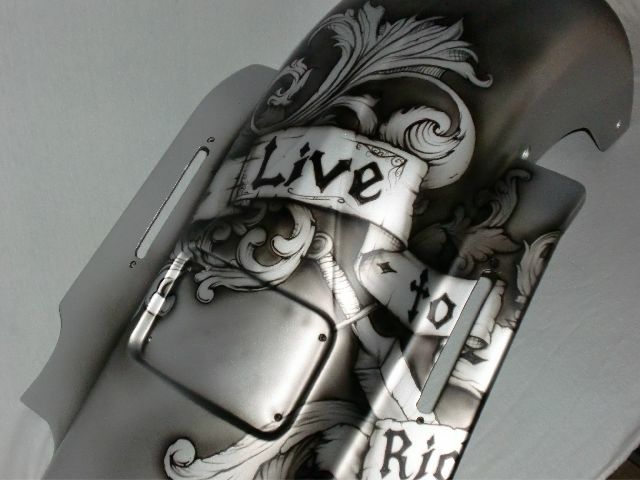 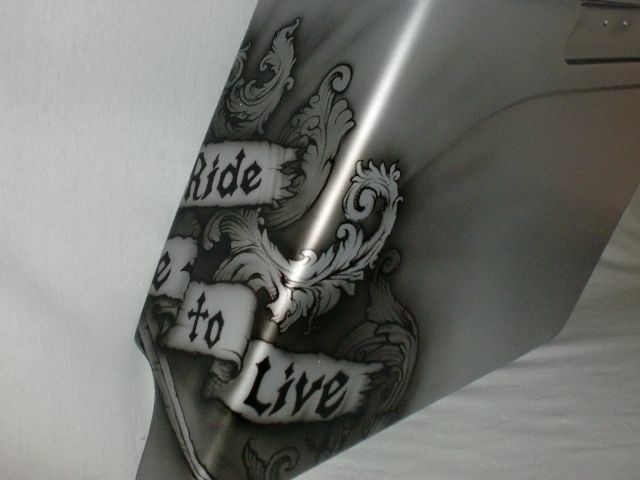 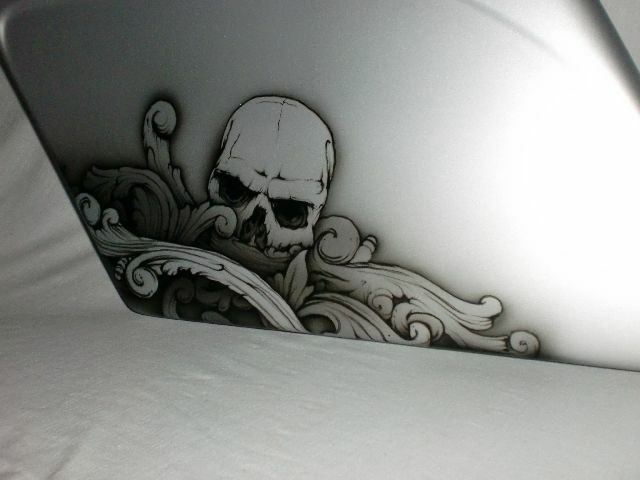 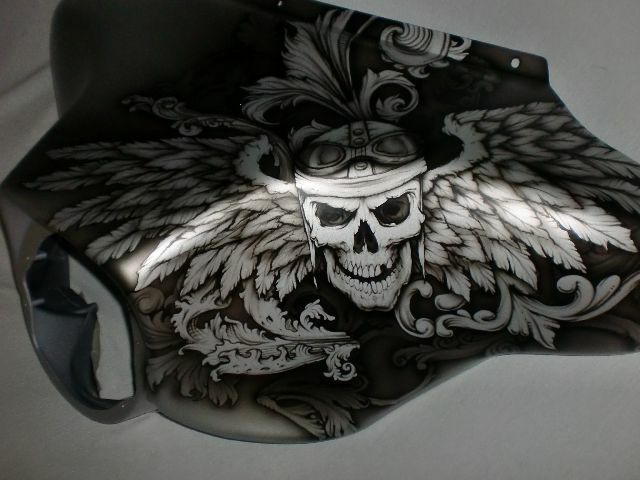 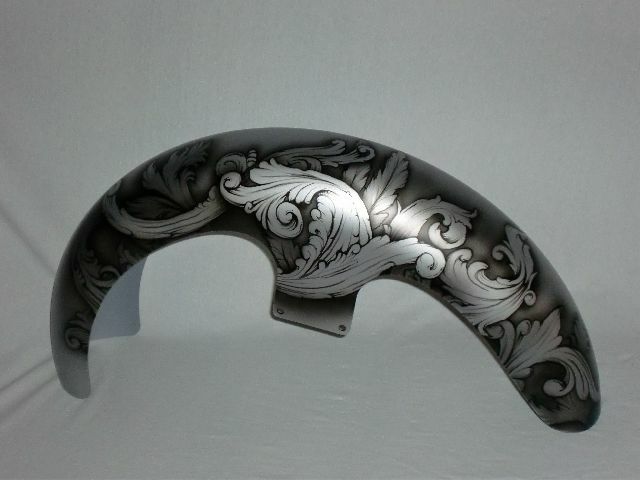 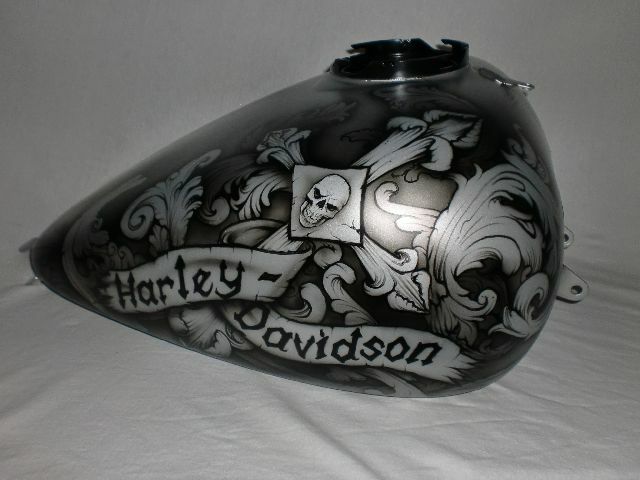 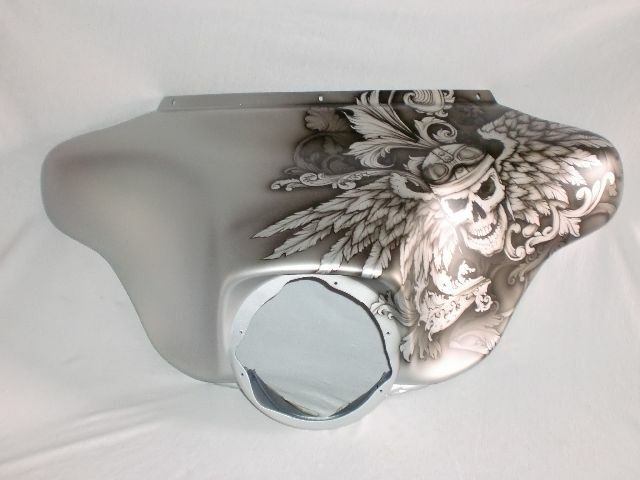 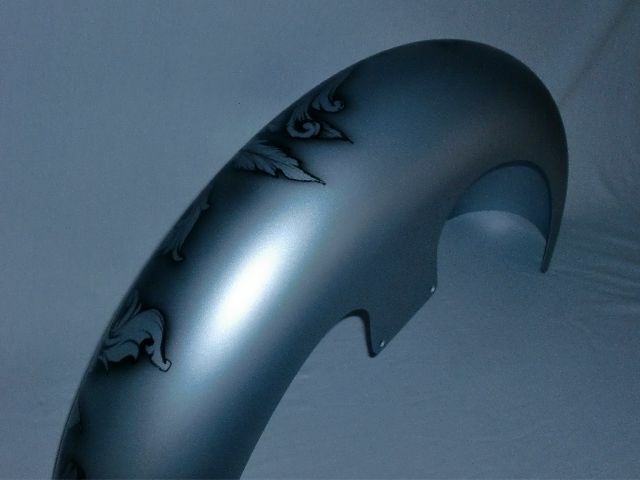 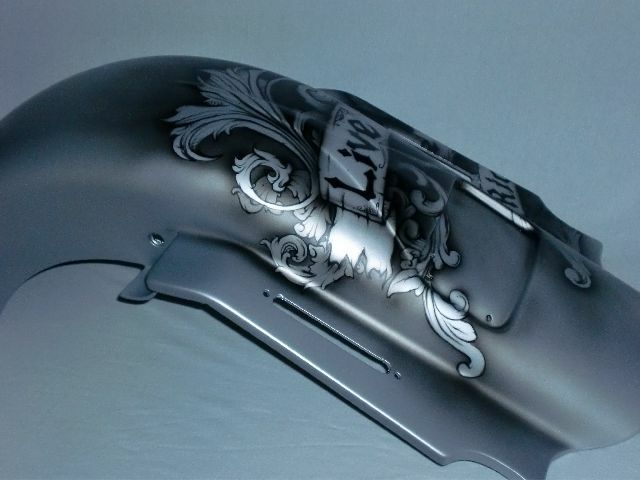 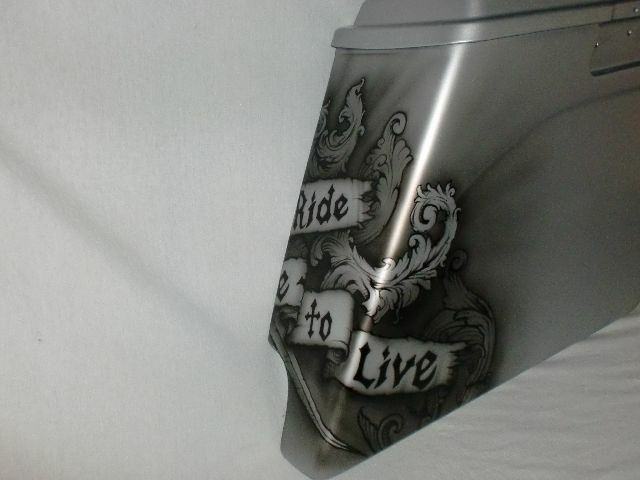 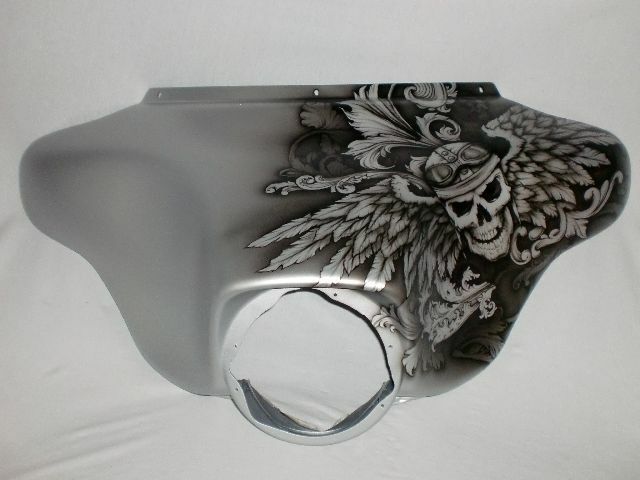 Extensive non symmetrical airbrush art featuring skulls and scroll work went into making the detail of this design eye catching. 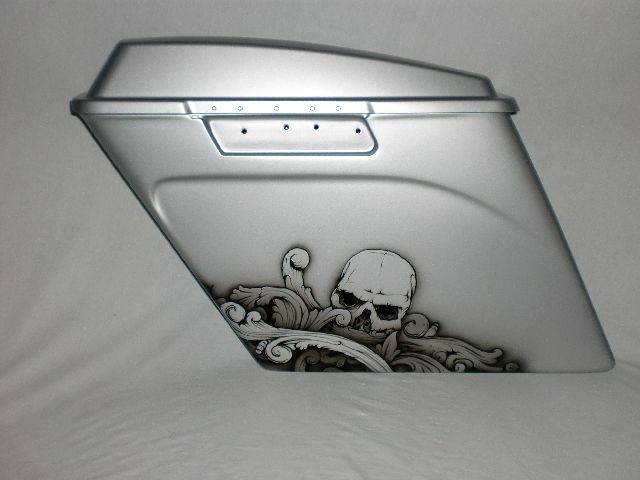 Not down with the matte clear? 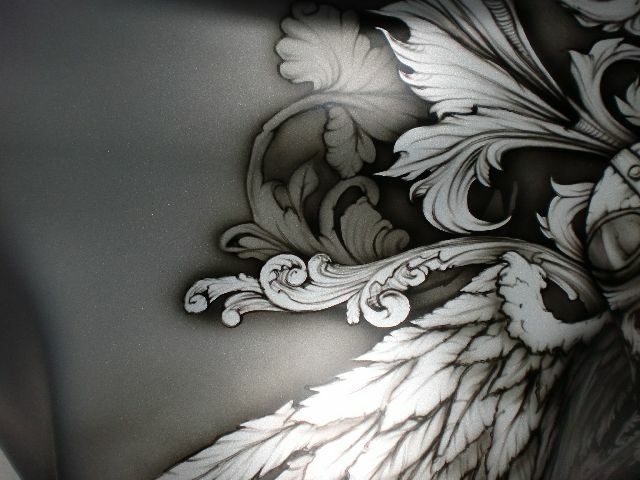 We can always use a high luster clear which would give this non symmetrical art a whole new look. 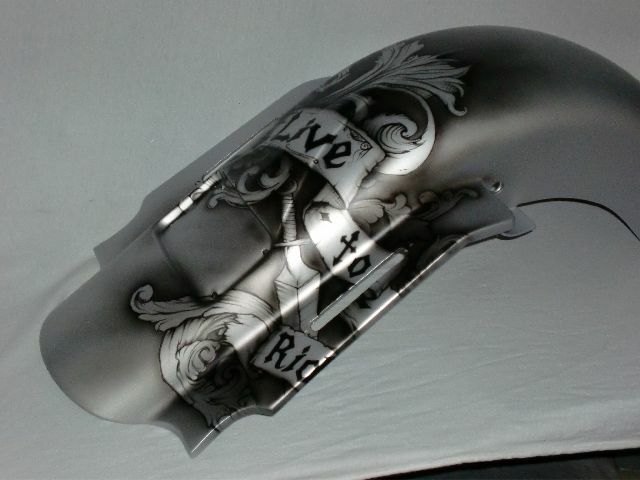 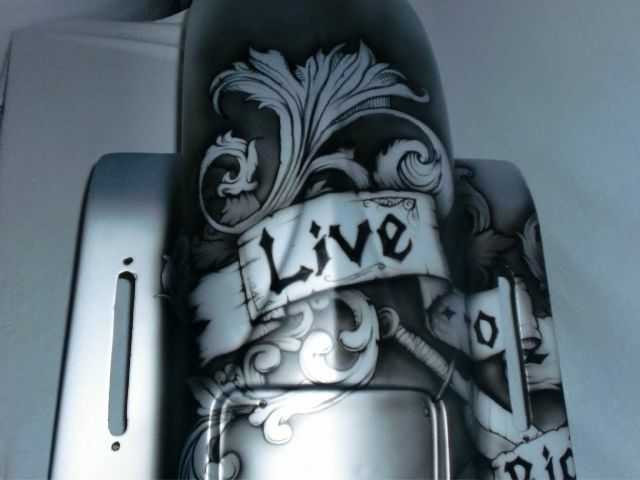 AWSOME PAINT,YOU ARE THE BEST. 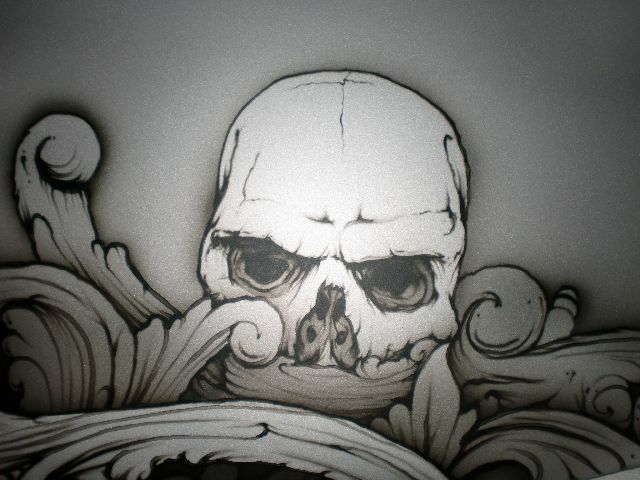 IT DRAWS EVERY EYE.THANK YOU ILL SPREAD THE WORD.